Great Article on Gluten Free by Amy Myers M.D. Are you curious to know what’s really happening inside your body when you eat your morning bagel or bowl of cereal? Gluten is a protein made up of the peptides gliadin and glutenin and it is found in many grains such as wheat, semolina, spelt, kamut, rye and barley. Gluten (from Latin, “glue”) is a protein that gives bread its airy and fluffy texture and dough its sticky texture. It’s also used as a stabilizing agent in many processed foods, such as salad dressings and mayonnaise. It’s in almost everything from beauty products to packaged foods to medications and supplements. Why is gluten getting such a bad rap now? The prevalence of celiac and gluten intolerance has increased significantly over the last 50 years. A 2009 study published in Gastroenterology showed that celiac disease has increased from one in 650 people to one in 120 people over the last 50 years. We’re no longer eating the wheat that our parents ate. In order to have the drought-resistant, bug-resistant and faster growing wheat that we have today, we’ve hybridized the grain. It’s estimated that 5 percent of the proteins found in hybridized wheat are new proteins that were not found in either of the original wheat plants. These “new proteins” are part of the problem that has lead to increased systemic inflammation, widespread gluten intolerance and higher rates of celiac. Today’s wheat has also been deamidated, which allows it to be water soluble and capable of being mixed into virtually every kind of packaged food. This deamidation has been shown to produce a large immune response in many people. Lastly, in our modern fast-paced world with fast food at our fingertips, we’re eating much more wheat than our ancestors ever did. So, what happens in your gut when you eat gluten? Whether you are eating a sugary fried doughnut or organic 12-grain bread, the effects of gluten on your gut are the same. When your meal reaches your intestines, tissue transglutaminase (tTG), an enzyme produced in your intestinal wall, breaks down the gluten into its protein building blocks, gliadin and glutenin. As these proteins make their way through your digestive system, your immune system in your gut, the gut-associated lymphoid tissue (GALT), reviews them for potentially harmful substances. In people who have no issues with gluten, the proteins are absorbed. In those with gluten sensitivity, the GALT identifies gliadin as a dangerous substance and produces antibodies to attack it. In celiacs, these antibodies don’t just attack the gliadin, they attack the tTG as well, which is what originally broke down the gluten into its two parts. This enzyme, tTG, has a number of jobs, including holding together the microvilli in our gut. Your body collects nutrients by absorbing them through the walls of your intestines, and the more surface area there is, the more they can absorb. Imagine trying to soak up a gallon of water with a paper towel versus a bath towel. Microvilli, which look like hairy fingers, exist in your intestines to increase the surface area and absorb nutrients. When the antibodies your body produced to defend itself against gliadin attack your tTG, these microvilli can atrophy and erode, decreasing your ability to absorb nutrients and allowing the walls of your intestines to become leaky. This can manifest itself in digestive symptoms, including bloating, constipation, diarrhea, weight loss, fat malabsorption and malnutrition, such as iron deficiency or anemia, low vitamin D or even osteoporosis.This blunting of the microvilli is the hallmark of celiac disease, which is an autoimmune disease. Regulating intestinal permeability is one of the basic functions of the cells that line the intestinal wall. In sensitive people, gluten can cause the gut cells to release zonulin, a protein that can break apart the tight junctions holding your intestines together. Once these tight junctions get broken apart, your gut is considered to be leaky. A leaky gut allows toxins, microbes, undigested food particles and antibodies to escape from your intestines and travel throughout your body via your bloodstream. The antibodies that escape are the ones that your body produced to attack the gliadin in the first place. Unfortunately, these antibodies often confuse more than just tTG for gliadin, and end up attacking other organs and systems, from the skin to the thyroid to the brain. This is why gluten intolerance is frequently paired with autoimmune conditions and why those with celiac disease are at risk of developing a second autoimmune disease. I would suggest that if you have an autoimmune disease you get tested for gluten sensitivity, and if you’re gluten intolerant, you should get screened for autoimmunity. The single best way to determine if you are gluten intolerant is to take it out of your diet for at least 30 days, then reintroduce it. Your body knows better than any test. If you feel significantly better without gluten or feel worse when you reintroduce it, then gluten is likely a problem for you, even if your lab tests are negative. Lab testing for both is available as well, however, there are some inherent problems with this testing. Check out my article, “How to Test for Gluten Intolerance and Celiac Disease,” for more information regarding this. How to treat gluten intolerance or celiac? Eliminating 100 percent of gluten from your diet. Trace amounts of gluten from cross-contamination or medications can be enough to cause an immune reaction in your body. When in doubt, go without. You may be saving your life or the life of someone you love. For more by Amy Myers, M.D., click here. 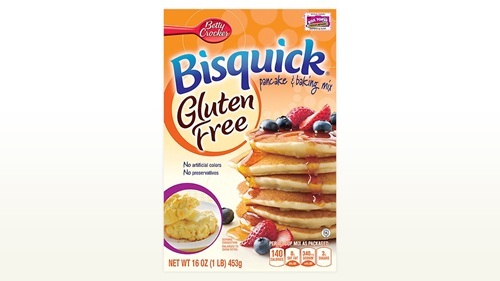 Betty Crocker has a great line of gluten free products (made in a gluten free facility) and this website has some amazing recipes too! My favorite is the Chex line of cereal and the GF Bisquick! Yeah! Cookie dough, pastry dough, and pizza dough. Plus many recipes! Nabisco has GF crackers. I have found them in the cracker isle at most grocery stores. These are so yummy. 3 fruit, 3 nuts, 3 seeds in every bar. Comes in 4 flavors. Gluten Free, Dairy Free, Vegan No Cholesterol, and No Preservatives. I buy these at my local Costco. A little better understanding on the new FDA regulations on Gluten-free labeling. 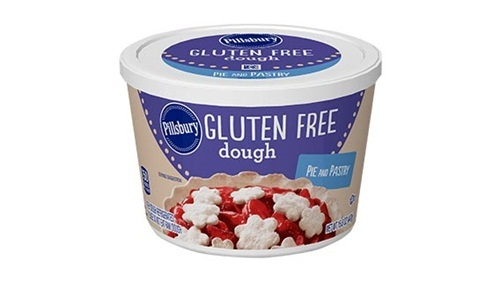 As a person living with celiac I miss pizza and pastries the most probably, well and jalepeno poppers but anyway…. A good pizza is hard to come by that is yummy and gluten free. With all my “testing” (and I have done a bit) of gluten free foods, here are some of my pizza favorites. Hands down the best local pizzeria for gluten free pizza is “The Pie Pizzeria” some locations also have a vegan cheese option. Sabatasso’s gluten free frozen pizzas. Please let me know if you want me to try a product for you or if you have any questions about gluten free.